Two Malaysians have created history by winning two gold medals at the Rio Paralympics in Brazil, setting a whole new world record on Sunday. 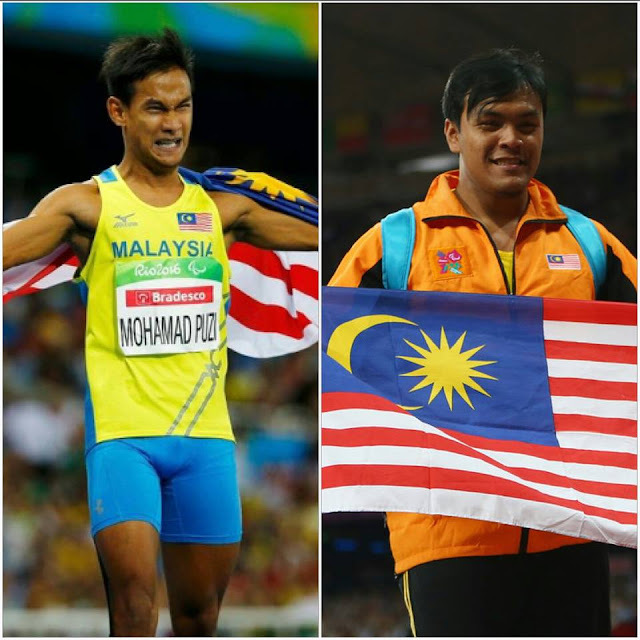 The first gold medal was won by Mohamad Ridzuan Mohamad Puzi in the 100m T36 (celebral palsy) final as he crossed the finish line of the 100m T36 in 12.07 seconds, while Muhammad Ziyad Zolkefli won the men's shot put F26 (intellectual disability) final, hurling the shot a distance of 16.84 metres. Muhammad Ziyad has broken the world record for his sports category. Previously, Malaysia has already won medals but only silver and bronze.